I just wanted to share something cool that happened to me last week. 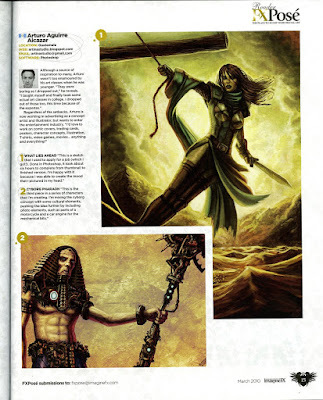 I was blessed to be featured on the FXpose section of the March 2010 issue of ImagineFX. ImagineFX is a british magazine that publishes fantasy and sci-fi digital art. Here's the cover and a scan of the article. Hope you like it.